Our award winning tours depart daily at 09:30 and 11:30 from Woolnorth. Woolnorth Tours is the only operator working with the Van Diemens Land Company and Moonlake Investments to take the public onto the property and there is no public access. We depart from the Bluff Point Wind Farm gates and accept cash and credit card payments once the tour is complete for those that have not booked over the phone or online. If your preferred booking date or time is unavailable or you are a group requiring alternate tour times, please call us directly as we may still have seats we can offer you. When: 2hr tours starting at 9:30am and 11:30am daily. Other tour timings can be discussed / arranged if required. Numbers: Min 2 adults (individual guests are welcome to join other tour bookings when available). 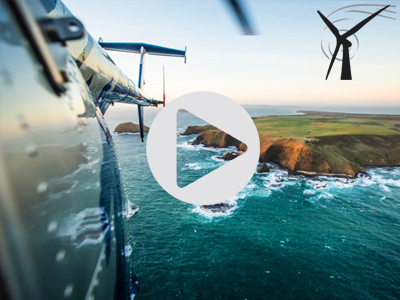 Sites: Woolnorth Wind Farm, Woolnorth and Cape Grim. Starting/Meeting Point: These tours depart from the Bluff Point Wind Farm Gate, 1665 Woolnorth Road. Allow 45 minutes drive time from Smithton and 1 hour drive time from Stanley. See location on Google Maps. The tour consists of three main elements. The first is an up-close visit to the cliff top towers of the Woolnorth Wind Farm and information centre. The second is a visit to the Woolnorth historic precinct, while driving through dairy lands of the Van Diemen's Land Company, VDL Farms (established in 1826), Australia's largest dairy farm. Finally, a visit to breath taking Cape Grim where we see the wonderful coastline, breathe the cleanest air in the world, and witness all the islands off the NW coast of Tasmania. We acknowledge the traditional custodians of this significant cultural sight. Paddock to Plate Tour for a once in a lifetime experience - $980pp. Our premium tour commences with a spectacular luxury flight from scenic Stanley with Osborne Aviation, over the spectacular northwest coast of Tasmania. Fly over the iconic Stanlet Nut, islands including Robbins, Three Hummock and Trefoil, view the crystal clear waters of Bass Strait and the Great Southern Ocean. Our guests are then taken on the full ground tour, concluding with a spectacular Paddock to Plate dining experience. Enjoy our local produce with a menu arranged according to seasonal availability, quality regional delicacies matched with the Zdar range from Josef Chromy Wines, local beers and ciders and served in the historic precinct at Woolnorth. Features of this experience may include Cape Grim Beef, Cape Grim Water, Robbins Island Wagyu Beef, Bolduans Bay Oysters, local seafood including crayfish, abalone Tasmanian scallops and calamari. When: 7 days a week, depending on weather & helicopter availability. All special dietary needs catered for upon booking and confirmation. Minimum booking is two guests and a maximum of five guests on each tour. Operating year round, Bookings essential. Transfer back to the helicopter base in Stanley is provided. Departing from Stanley at 10:30 subject to booking and availability. For further information on this exciting new tour please do not hesitate to get in touch with us! Like a virtual Paddock to Plate experience? Join celebrity chefs Matt Evans and Poh Ling Yeow on their Paddock to Plate Tour when visiting with SBS. The tour is incredible and Laura is incredibly knowledgeable bringing Woolnorth to life. The tour is such value for money and really is a must do if coming to the North West of Tasmania. Highly recommend for the history, the information and for the scenery. Visited Tasmania on a number of occasions but a tour of Woolworth is a must for all tourists. Our guide Laura was brilliant, very knowledgeable and approachable. Loved every minute of the tour. Much more than I expected. Magnificent scenery. Geography. History. Science. Electricity. Climate. Agriculture. Cows. Sheep. Weather. Dairy industry. Tour guide Laura was not just reciting a script. She was passionate and extremely knowledgeable on everything to to with the day. Didn't miss a beat on anyone's questions.